Monster contunies to add more headphones to their own Monster line of headphones other than the Beats By Dre with the iSport in-ear headphones. After releasing the $179 PowerBeats in-ear sport headphones, Monster's iSport targets active lifestyles with sand, sweat, splash and water-proof features up to 30 minutes at 1 meter as well as detachable clips for added stability. 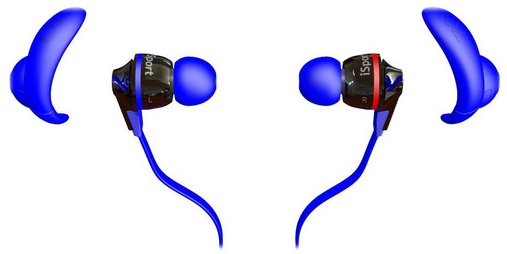 The iSport even sport the ControlTalk mic and remote feature for making phone calls and controlling music. The iSport will be available later this month for $149 - $199.